Fulcrum’s personnel have extensive experience in most aspects of the entertainment industry including each of the following segments. On multiple occasions, valued the different results that would have been achieved had films been completed and released as initially desired, when compared to what actually happened. 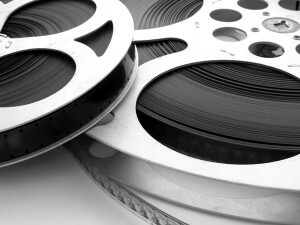 Performed investigation, solvency analysis, and forensic accounting for a major motion picture studio in connection with a lawsuit. Appraised the value of the current slate, film library and minority interests in various foreign exhibition houses. Assisted attorneys in discovery and provided deposition testimony. Testified on behalf of one of the major entertainment companies in connection with the payout due to the former studio head. Included forecasting revenues for animated features and calculating operating income for certain products over a period of approximately 15 years. Provided bankruptcy consulting to a mid-level studio (including production and distribution) involving valuation of the assets, valuation of the film library, assistance with the sale of the company, evaluation of financial matters affecting the plan of reorganization, classification of claims and acceptance/rejection of contracts, resolution of all royalties, share and participation audits and financial evaluation of all significant claims and disputes. Valued all assets, subsidiaries and intangible assets in connection with a $600 million acquisition of one studio by another. On multiple occasions, analyzed cash flow projections, valued the film library and analyzed historical results of operations and financial position for a studio/owner. Analyzed the actions taken by a major studio in a home video release in response to allegations that the video was not handled in accordance with the distribution agreement. Analyzed potential damages. Assisted a large entertainment company in refuting a participant’s claim that the company had not appropriately calculated net profits in accordance with his agreement. Determined the value of a Hollywood movie production company and its related film libraries in connection with a marital dissolution. Analyzed the financial statements and underlying accounting principles used in connection with a merger of two major studios in which the amount received by both shareholder groups was dependent on financial statement results. Prepared a business valuation of an entertainment production company for transaction purposes. Company assets included completed film/participation rights, television rights and the rights to various scripts. Prepared a financial analysis of the economic impact of a national chain of movie theaters complying with Americans with Disabilities Act (ADA) implementations. Conducted a financial analysis of the costs and impact of converting a regional movie theater chain to new exhibition technology. Valuated a large independent producer and financier of feature firms. Included an assessment of (i) the transfer of intangible assets between related parties, and (ii) the purchase of stock interests over time. Determined the purchase price of a home video enterprise for a court appointed arbitrator assignment. On multiple occasions, valued a script or other idea prior to the project being green lighted; frequently related to a dispute over whether a script or idea has been stolen. Valued various film rights including DVD/home video, sequel and remake rights. Valued an entire company and film library in connection with a fairness opinion. Conducted numerous participation audits and assisted in related disputes on behalf of owners, talent and copyright holders. Determined and testified to the value of product purchased from related entities in disputes involving the appropriateness of vertical integration for one of the television studios. Assessed the amount owed for program licensing under either (i) a most favored nations (MFN) clause, or (ii) number of subscribers. Analyzed damages regarding (i) alleged breach of contract for programming acquisition, or (ii) trademark infringement. Assessed damages involving alleged violation of licensing agreements. Analyzed amounts payable to television programming producers or creators pursuant to their contractual arrangements. Assisted a cable TV operator as the Court appointed referee. Reviewed and evaluated all transactions affecting one of its franchises and valued the franchise. Determined the value of a library of canceled television programs and made-for-TV movies. Consulted on accounting principles and their application to a post-acquisition dispute involving a cable television network. Court appointed referee assigned to review and evaluate transactions affecting a franchise, and value the franchise as of two different dates. Prepared a financial analysis and valuation of related party transactions and product development relating to broadcast signals and other wireless communications. Analyzed alleged unfair business practices/pricing in a claimed anti-trust/monopoly case. Prepared a valuation of News Corporation, a multi-billion dollar television-related technology, advertising, and licensing enterprise. To support the amount of a theft loss deduction, determined the fair market value of a public media, entertainment and technology company after removing the impact of fraud perpetrated by its CEO. Determined economic damages in a contract dispute between a cable television network and producers of a television show and its related media. Determined the value of a broadcast television station. Provided related expert testimony. Analyzed the profitability and value of a television station carrying specialized (demographic specific) content. Conducted a forensic accounting investigation of the financial results of a successful reality television series, including related home video results. Analyzed loss of advertising revenues for a radio broadcaster. Valued customer lists and trade secrets in the broadcast industry. Valued radio advertising under circumstances that allegedly did not follow an advertising agreement and provided related expert testimony. On multiple occasions, valued a nationally syndicated program. Conducted numerous forensic accounting investigations regarding advertising sales. Conducted numerous royalty audits and advised on related disputes on behalf of owners to ensure that all royalties have been paid. On numerous occasions, prepared (i) disgorgement calculations involving pirated products and/or uses of celebrity images and likenesses, and (ii) calculations of a reasonably royalty rate to be applied to unauthorized uses of celebrity or other copyrighted images. Valued licensing rights associated with a cartoon character for one of the large studios. Served as the consultant to Secured Creditors and as the accountant for the Bankruptcy Trustee for a recording studio. Work included reconstructing the accounting records, performing a fraud audit, assisting with criminal prosecutions of principals and assisting with the sale of company assets. Conducted numerous royalty audits and related disputes on behalf of music talent to ensure that all royalties have been paid. Performed financial and accounting analysis regarding the stand-alone results of an acquired music company. Valued a classic cartoon character in several entertainment markets (not just publishing). On multiple occasions, analyzed market size, and profit potential of an undeveloped game program. Valued a major publisher of specialized enthusiast magazines. Valued a trading card company after investigating allegations of inappropriate accounting involving distribution. Provided expert testimony involving a wide range of disputes between owners of a company involved in (i) trading cards publishing, and (ii) procuring and distribution of entertainment collectibles. Analyzed market share, competition and profitability of a print and internet publisher and provided related expert witness testimony. Prepared a valuation of a large library of digitized images. Provided bankruptcy consulting services to a post-production and duplication services company, including evaluation of fraudulent conveyance claims and due diligence regarding the sale of the company. Determined the value of web-based media company in connection with a partnership dispute. Performed a stock analysis and related valuation involving trade names and domain names for an internet entertainment company. Performed a forensic evaluation of financial statements and transactions for a talent agency. Recommended internal control improvements. Provided financial analysis and assisted in obtaining a long-term agreement to obtain a performance venue. On multiple occasions, valued internet urls. Valued a holding company which owned numerous play scripts and theatrical rights, as well as a production company and playhouse.